The Federal Trade Commission is protecting America’s consumers by providing tips and tools to protect data from credit card skimming. 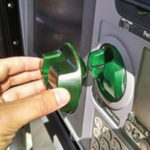 If you own or operate gas stations, chances are you know about skimmers – illegal card readers attached to payment terminals, like gas pumps, that grab data off a credit or debit card’s magnetic stripe without the customer’s knowledge. Criminals sell the stolen data or use it to buy things online. If your pumps are compromised, customers won’t know their information has been stolen until they get an account statement or overdraft notice. Customers aren’t only victims here. Your business can suffer from the associated costs, including a damaged reputation and lost sales. These best practices can help your customers and your business keep safe from skimmers. Make pump inspection part of the daily routine for employees. Use and track pump security seals. These large labels are adhered to the pump, near the credit card reader. 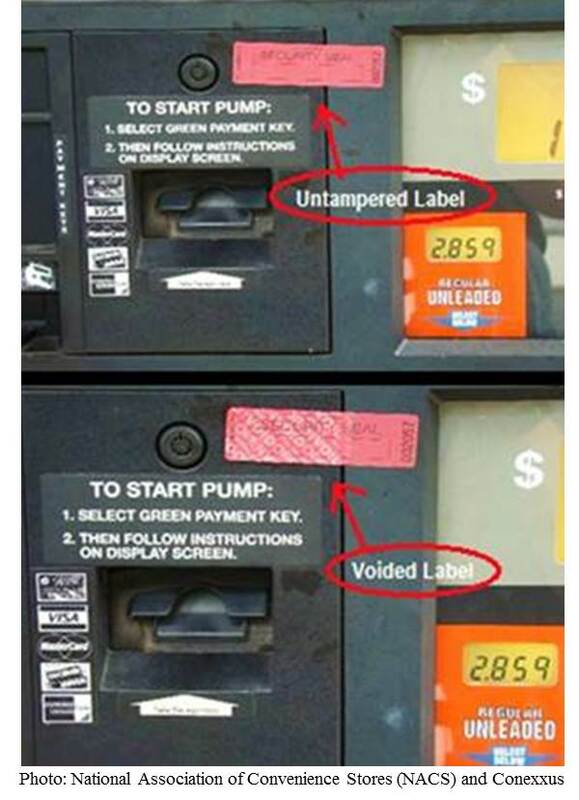 If the pump panel is opened, the label will read “void,” which means the machine has been tampered with. Log the serial numbers on the seals. Thieves can use counterfeit security stickers, so make sure serial numbers on the seals match your station’s master list. Look for warped or protruding surfaces. 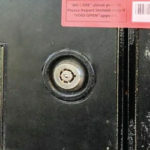 For example, card readers and PIN pads not flush with the pump’s door panel are a warning sign. Be suspicious of people who claim to be technicians performing unscheduled work. Check IDs and confirm scheduled work appointments. Check on vehicles parked at the pumps for a long time. Shut down and bag suspect pumps, and have the machine checked for skimmers. For more information, read the National Association of Convenience Stores (NACS) skimming resource guide(link is external). To help protect yourself when you’re filling up, check out these FTC tips for consumers.